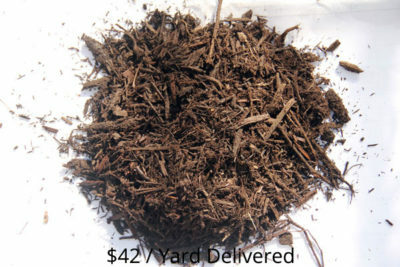 READ THIS FIRST: Before ordering bulk mulch online we just want to let you know a few things. By purchasing from our website you have agreed to our Terms and Conditions as presented here. Refund Policy: No Refunds. All products are sold “as is”. You assume the responsibility for your purchase, and no refunds will be issued. We have a 4 yard minimum. If you would like to order less, please call us to arrange delivery. Local deliveries are no added charge. 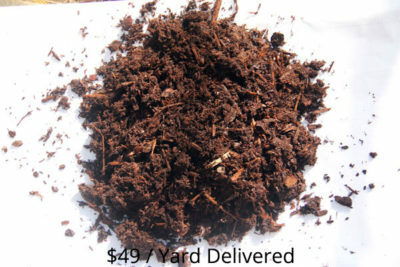 We deliver Monday through Friday. 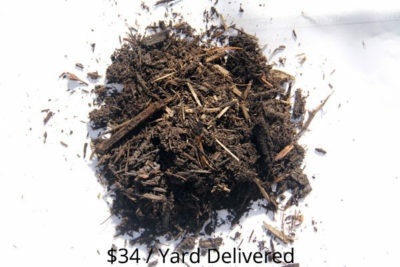 Please order two days in advance of your requested day for delivery and if we can’t get the mulch there that day we will call you. 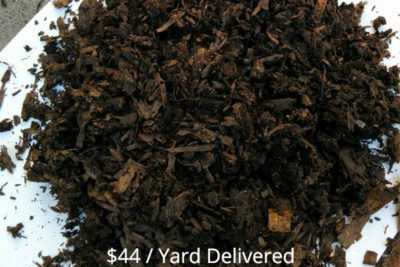 The pictures of the bulk mulch may not be exactly what the mulch will look like. Photos are just a small sample that we took and photographed. The color may be slightly different. We will only dump on the driveway in a spot where we can raise the body of the truck. Area must be clear of wires and trees overhead. Marking the spot with a garbage can, chair or tarp is helpful. 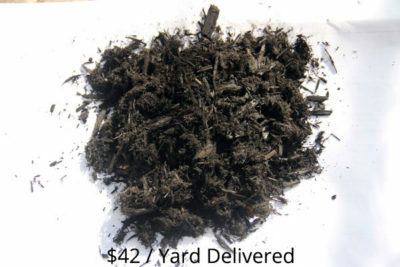 All sales are final, no mulch can be picked up once it is dumped. A cubic yard is a 3′ tall x 3′ wide x 3′ deep cube. It covers roughly 100 sq. ft. 3 inches deep.